Explore more of the wizarding world with the Tina Goldstein Fun Pack from Fantastic Beasts and Where to Find Them™! Enhance your LEGO® DIMENSIONS™ experience with the Tina Goldstein Fun Pack, from Fantastic Beast and Where to Find Them™. Simply attach the minifigure to her LEGO Toy Tag and place her on the LEGO Toy Pad to bring her to life in the game. Then use her special abilities to solve puzzles and battle enemies. 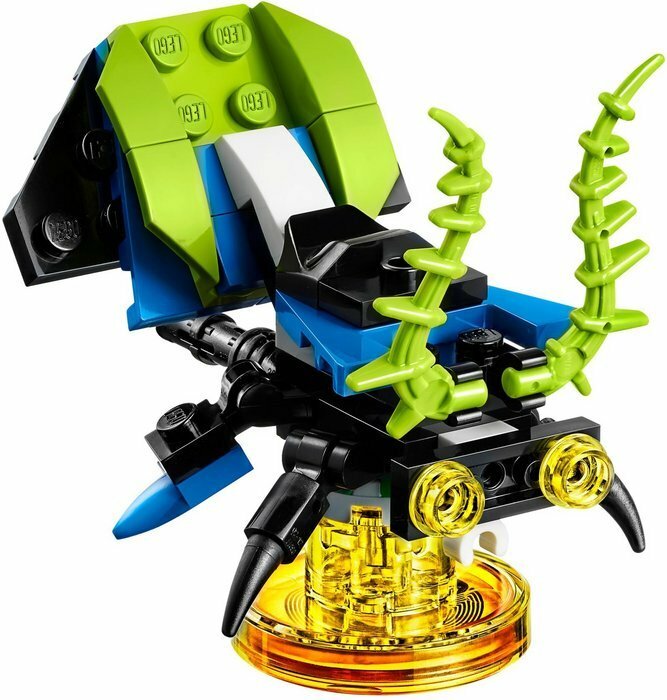 Add the 3-in-1 Swooping Evil to boost your gameplay, and then rebuild it into the Brutal Bloom and Crawling Creeper for upgraded abilities in the game. 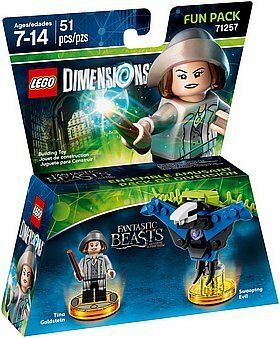 This set includes a buildable Tina Goldstein minifigure and her wand, a 3-in-1 vehicle, and an Adventure World with a Battle Arena. 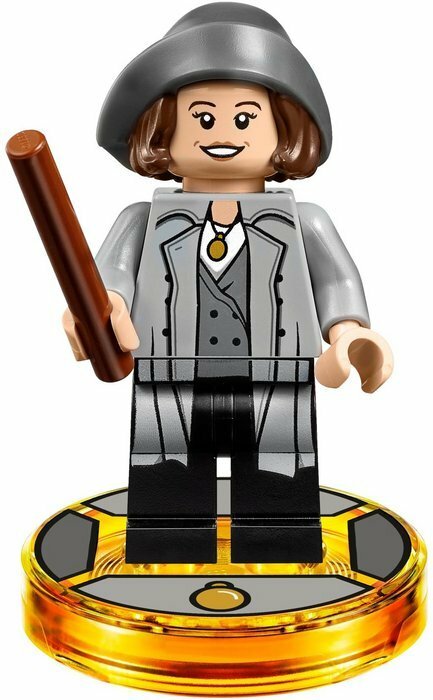 Includes a buildable Tina Goldstein minifigure and rebuildable Swooping Evil. 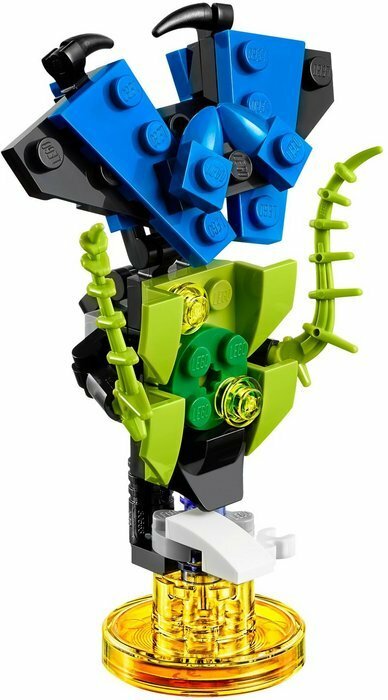 Rebuild the Swooping Evil into the Brutal Bloom and Crawling Creeper. Place Tina and her vehicle on the LEGO® Toy Pad and join the action in the game. Activate her abilities like Aguamenti and Protego to solve puzzles and fight off enemies. Unlocks the Fantastic Beasts and Where to Find Them™ Adventure World and Battle Arena. 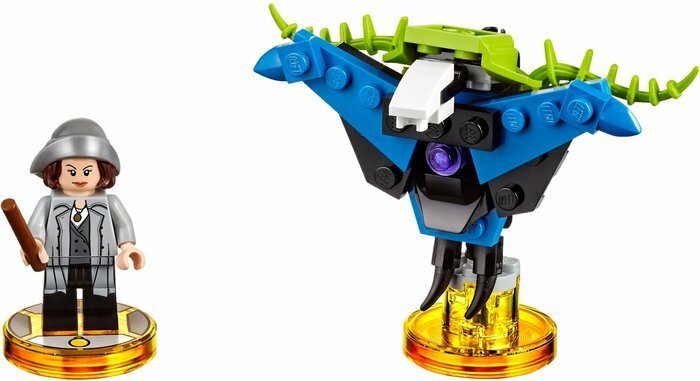 Swooping Evil measures over 3” (8cm) high, 1” (3cm) long and 3” (9cm) wide (alternative 3-in-1 vehicle builds vary in size).